Following on the heels of last week's review (which covered the Premium Grade of this same tea), here we have the Competition Grade Taiwan AliShan High Mountain Oolong from Cameron Tea. Cameron Tea, based in Taiwan, is one of the new players in the scene of Taiwanese loose leaf teas. Their specialty lies with sourcing top quality leaf from farms around Taiwan and providing it to an international client base. According to the information they provided about this Competition Grade AliShan, one of the main differences between it an the Premium Grade is that this one has been lightly roasted. Upon opening the package of tea, I can immediately smell a difference between these Competition Grade leaves and the Premium Grade. It is the light roasting that makes all the difference. These truly give off roasted scents mixed with fruity sweetness. As I mentioned with the Premium Grade, this is not a fruit-flavored or -scented, rather the fruitiness is a more reminiscent aspect. A touch of buttery creaminess lies on the edges of the aroma. The Competition Grade lacks the initial boldness, which I found with the Premium Grade, in the smell of the dry leaves. The quick rinse releases many subdued aromas. With the first steep of thirty seconds, the tea smells much like it did when in dry, loose leaves. Roasted aromas stand-out from the rest, and then there is the flavor. With the first steep, the leaves have not yet opened much, leaving a lot of room for evolution of the flavors, but the roasted overtones, followed by the feeling of freshness and the taste of slightly-green oolong with immensely smooth edges, causes even this first steep to be consumed with delight and anticipation. 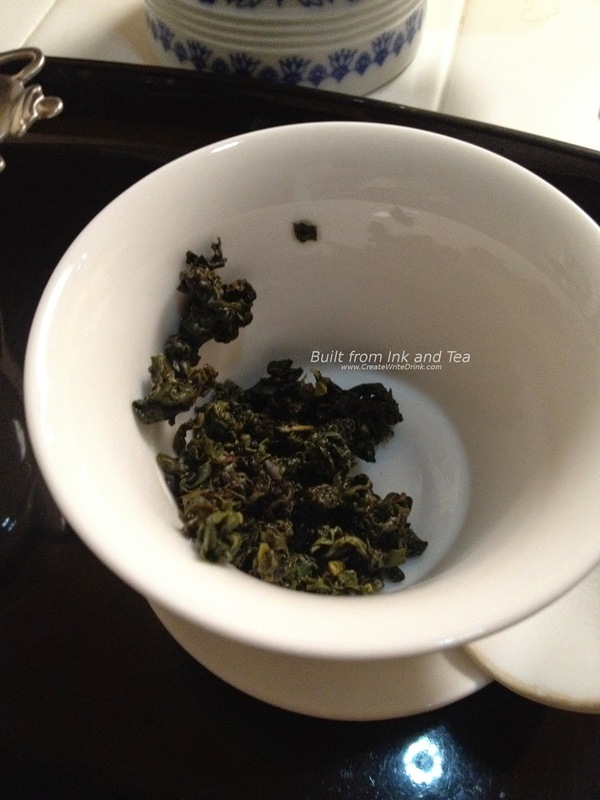 The second steep, also for thirty seconds, brings along broader flavors. The roasted aspects have settled, and they now balance with the sweet, fresh, and fruity oolong flavors. The third steep, infused for forty-five seconds, bares a darker brew. 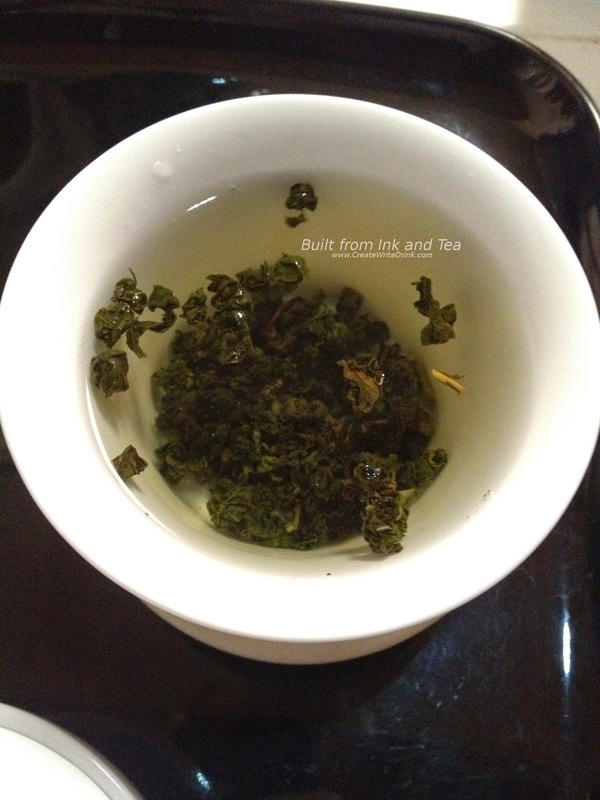 I wanted to see how much flavor I could pull from one steeping of leaves, and this embodies that attempt. Boldly, the roasted flavors wreath all the rest and stand forward. The aftertaste is sweet, but still it is edged by the roasted aspect. Yet, even with this addition of roasted boldness, this oolong continues to be just as smooth as the first steep - absolutely delicious. A fourth steep actually diminishes the roasted flavors, and the greenness stands forward much more. While I would not call this oolong better than the Premium Grade, I feel that they are different enough to warrant trying both and seeing which you like better. Each has its own unique characteristics. I personally found myself enjoying the Premium Grade, without the roasted notes, more than the Competition Grade, but preferences vary. On my personal enjoyment scale, I would rate this oolong an 87/100. 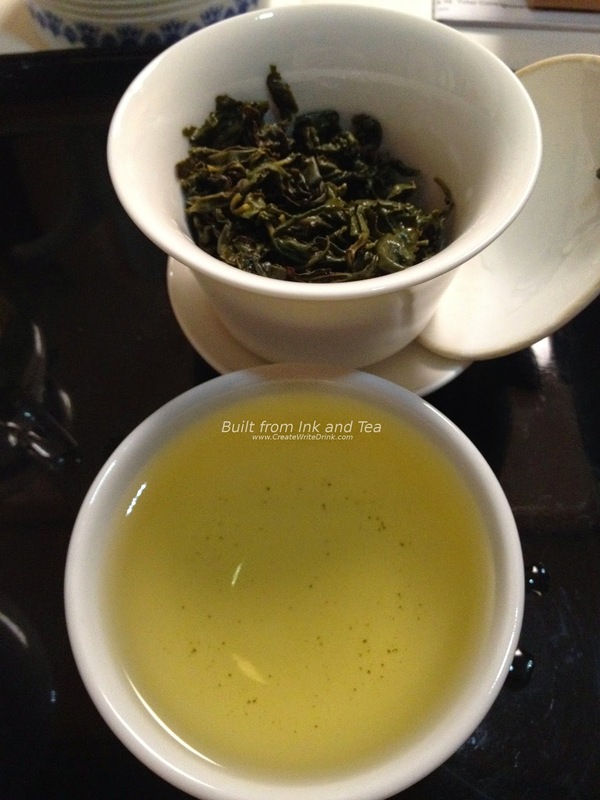 Cameron Tea's Taiwan AliShan High Mountain Oolong is available from their website, here. Use the dropdown menu to select the Competition Grade (as reviewed above) or the Premium Grade. Text is copyright 2014, Built from Ink and Tea.